Have you been diagnosed with a condition pertaining you your concern(s)? Not at All 100% All in! What herbs, vitamins, supplements or medications are you taking? Do you engage in physical activity on a regular basis? In general, what has been your mental state over the last 48 hours? Does a member of your household drink alcohol, smoke or drink caffeine? What foods have you eaten in the last 24 hours? Please include as many as possible and how they were prepared. Which natural health products and therapies do you use or have you used in the past? Please provide any relevant, and major issues pertaining to your family members' health. If applicable, please indicate if you have experienced any of the following. 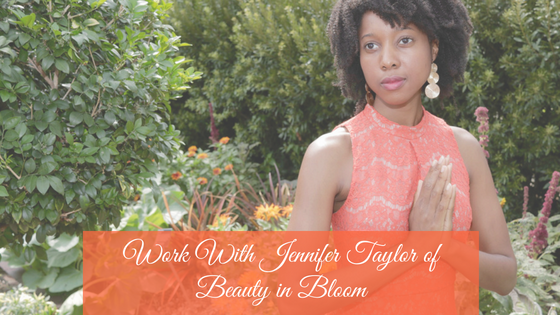 I choose to consult with Jennifer H. Taylor as a certified clinical herbal health counselor who conveys self-help information that people can use to enhance wellbeing. I affirm my right to self-health, and I take full responsibility for my healing process with her guidance and support. I state that I come to Jennifer with the purest of heart and purpose of seeking information. I state that I do not come with any forethought or will have any afterthought to entrap Jennifer into an illegal statement or action. I understand that Jennifer's sole intention is to offer educational information that will help to bring homeostasis into my body/condition. If I choose to use this information for myself or loved ones, then I affirm that the responsibility is mine. I understand that Jennifer does not provide legal medical services, but instead suggestions that I can choose to use for healing. I will not consider her advice or anything that she says to replace the treatment of a licensed primary healthcare provider or medical doctor. Jennifer is not a licensed health care provider or medical doctor. She does not diagnose, prescribe, or treat symptoms, defects, injuries or diseases. Please read and sign to acknowledge that you understand and agree to the above statements. You will not be seen without it. Have you already scheduled a follow up meeting with Jennifer?